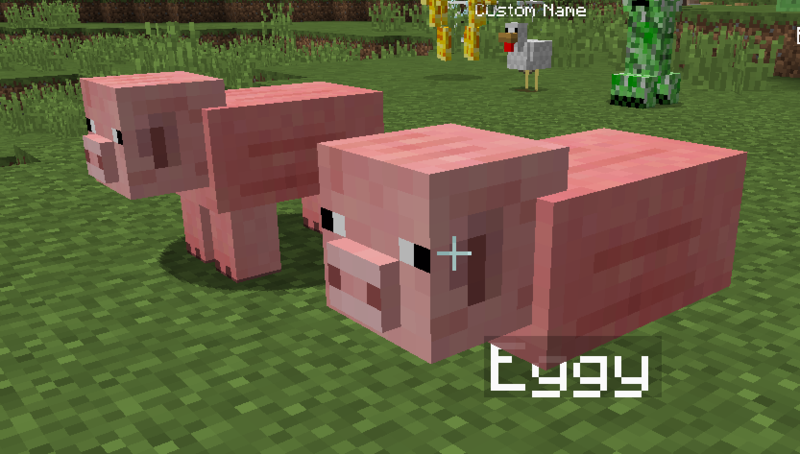 The ENIM mod is an in-development mod that adds the ability to alter and replace entity and tile entity models and their animations through the use of resource packs. To implement this, ENIM uses a format similar to the vanilla block model format, with additions and changes where blocks and entities differ. Moreover, ENIM is designed to be easy for other mods to use, enabling other mods to opt-in to the ENIM system with the same effort as creating a block. ENIM uses a JSON format for "entitystates" and entity model files. This format includes defining cuboid model elements with optional scaling and rotation, defining animations under varied circumstances, defining properties such as shadow size and nameplate height, and importing elements and animations from arbitrary model files. Animations are written in a custom script called AbieScript. Animations define (symbolic) model element names which are rotated and translated according to different curve schema, either linear or sinusoidal. Transformations may be grouped together in frames which are played one after another; and optional frame containing initial transformations may also be provided. ENIM is open source and may be found on GitHub using this link (https://github.com/kvverti/enim). Please report bugs below or on the project GitHub! Any resource pack artists wanting to submit screenshots of their creations are welcome to message/post below. Please see the wiki pages on GitHub for detailed information on the model and animation systems. Source code is also available on GitHub. 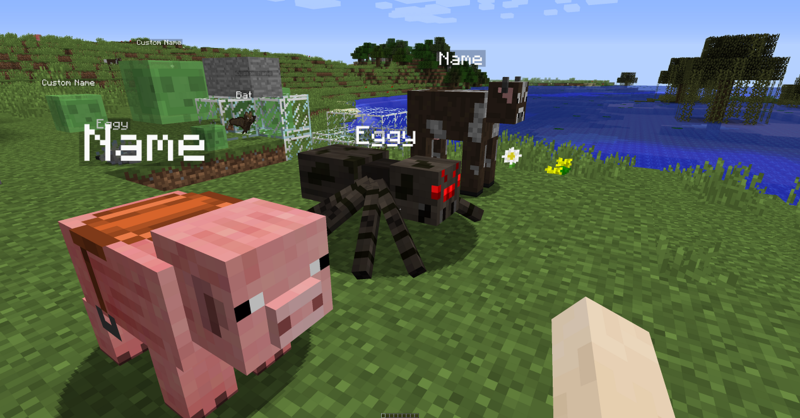 Resource pack artists should check the latest release notes for the latest features. Mod authors interested in using ENIM should check the wiki documentation and source for examples on how to create and register entity models. Optifine CEM will override ENIM entity models if enabled. It is perfectly fine to have both ENIM and CEM active at the same time, but Optifine CEM will take precedence over ENIM if custom entity models is enabled in Optifine. ENIM is a client-only mod. This means that ENIM does not need to (and should not) be installed on servers. All features of ENIM should still work properly in multiplayer. If there is any discrepancy, please report it! 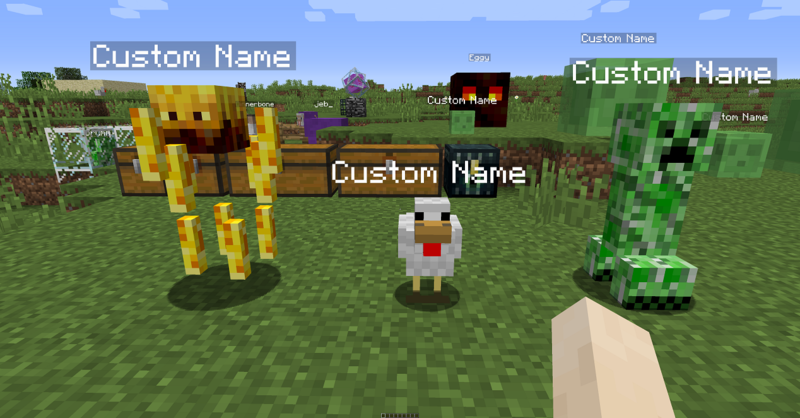 ENIM is not yet known to be incompatible with any other Forge mod. Please report incompatibilities below or on GitHub! Post it below! Before posting, please check that you are using the current version and that your question is not already answered. Submit an issue report on the project GitHub repository, or post it below. Please put crash reports and logs in spoiler tags.